What is YULA Open House? The YULA Open House is your opportunity to meet students, faculty, and administration. You will get a taste of the academic program and all of the extra-curricular activities. Our Open House for the 2019-20 Admissions Season is on November 7th, 2018. Click HERE to register. Can I make an appointment to visit the school? Yes, you may visit the school, please sign up on the web or contact the school office at 310.203.3180 | yfrankel@yula.org. What is the procedure for applying to YULA? Submit an application with the fee, take the Entrance Exam, provide all references and transcripts, then schedule an interview with Head of School and other members of the Administration. After all paperwork, fees, exam, interview are submitted and completed, the Admission Committee will review all applications and letters will be sent home at the end of February. Whom do I ask for a reference? 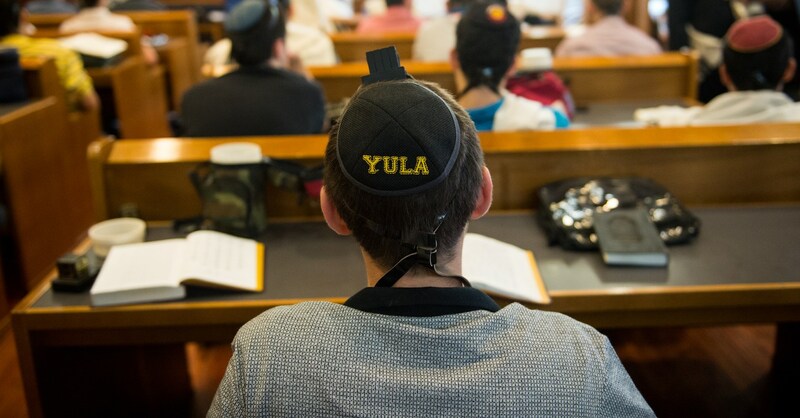 YULA requires two recommendations from your present school - The Administration and Judaic Studies or General Studies. The interview is approximately half an hour. Who should attend the interview? The student must come with at least one parent – both are recommended. What part of the tuition and fees is tax deductible? No part of the tuition or fees is tax deductible. My child cannot take the Entrance Exam at the given date, what do we do? We strongly recommend that your child take the test on the scheduled date – if this is not possible, please call the school office to schedule a test. Does my child need to take the Entrance Exam - he/she is a straight "A" in school? Yes, every applicant to our freshman class must take the Entrance Exam. Is there anything to study to prepare for the Entrance Exam? The YULA Entrance Exam is comprised of an HSPT (High School Placement Test), designed to measure the General Studies skills acquired by the first quarter of eighth grade, and a Torah Studies component in all areas of general knowledge. These are basic skills tests that do not require study or preparation. My child is transferring for 10th, 11th, or 12th grade to YULA – does he need to take the entrance exam? No, the entrance exam is given only for entering freshmen, unless the administration requests it. Transcripts should be sent with the application. General Studies: a standardized high school placement test on the following subjects: Reading, Mathematics and Language. Torah Studies: The test is based on Chumash skills, general knowledge (Neviim & Chumash), Gemara, and essays. How long is the Entrance Exam? The General Studies standardized high school placement test approximately 2 hours and 15 minutes. Each section is specifically timed. The Torah Studies Entrance Exam is one (1) hour. When do we get the results of the Entrance Exam? After you have taken the Entrance Exam, it takes approximately 2 weeks to get the results. How do I get the Entrance Exam results? After your child has taken the Entrance Exam, please call the school office to schedule an interview with the Head of School. At the interview, the Head of School will review the results with you and give you a copy of the results. My child needs extended time - Is there extended time for the Entrance Exam? No, we are sorry, there is no extended time for the Entrance Exam. The applicant will take the test with everyone at the same time. If you have any official documentation for your child's educational needs, please submit the paperwork to the Head of School - each case will be reviewed individually. My child is not a good "test-taker" – what happens if he/she doesn't do well? Admission to the school is not only based on the Entrance Exam. Admission is based on the Entrance Exam, transcripts from his/her elementary school, references, and the interview. Once I am accepted, how do I register? You will receive registration instructions along with your acceptance letter, which is normally sent out in late February. Registration is completed online, similar to the application process. You will have a least one month from the date of your acceptance letter to register. What do I submit to the office when I register? 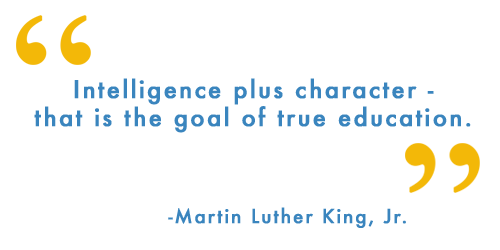 You will login through your account on MyBackpack and will be prompted to update your contact information, complete the enrollment contract, and pay the registration fee. For the 2019-2020 school year, the deadline is March 8th. What if I am late submitting my registration package? Registration is accepted on a first come first serve basis. We encourage early registration to secure your place in class. Can I submit my registration forms without the registration fee? No. Your registration is not considered complete until the registration fee is paid. How do I know I have completely registered? If your registration is incomplete the business office will send you a letter requesting the missing items of your registration package. At the beginning of August you will receive an entry card in the mail ensuring the students clearance to attend classes.